Sri Lanka selectors’ prayers were finally answered when in the play-off for third place in the Super Four Provincial limited-over tournament match at Dambulla Stadium yesterday former captain Angelo Mathews struck form to score a timely hundred (101 off 106 balls) and aided by a brilliant knock of 95 off 87 balls from Bhanuka Rajapaksa (11 fours, 2 sixes) enabled Dambulla to post an imposing total of 325-5 and beat Kandy by 94 runs. Invited to bat first Dambulla slumped to 45-3 in the 13th over losing the wickets of Niroshan Dickwella (4), Danushka Gunathilaka (15) and Oshada Fernando (6) cheaply to Thisara Perera and Nuwan Pradeep. Rajapaksa joined by Mathews set about repairing the innings by indulging in a fourth wicket partnership of 150 that boosted the total immensely and allowed Jeevan Mendis (50 n.o. off 33 balls, 3 sixes, 2 fours) and Isuru Udana (34 n.o. off 14 balls, 2 sixes, 3 fours) to figure in a rollicking sixth wicket stand of 59 off 27 balls that boosted the total beyond the 300-run mark. 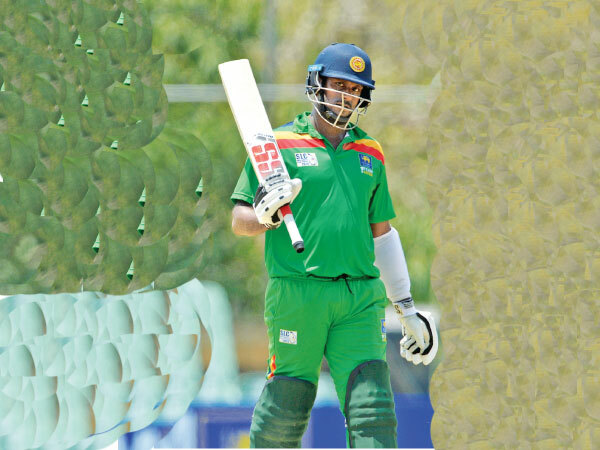 Despite losing Dimuth Karunaratne for a second ball duck in the first over Kandy recovered to 121-1 through half centuries from Sadeera Samarawickrama (70) and Sangeeth Cooray (57) before folding up tamely for 231 to the spin of Gunathilaka and Mendis. The final between Galle and Colombo will be played at the same venue today.